Go to www.watershare.eu and click top-right on “Sign in to Watershare®”. Enter your username in the “Username” field, as you have always done. If you have forgotten your username, enter “unknown”. Leave the “Password” field empty. Click on “Log In”. A new screen will open with the message: “ERROR: The password field is empty.” Below, you will see the message: “Lost your password?”. Click on this link. Here you can enter the e-mail address or the username you used before for Watershare®. You will now be sent an e-mail with which you will set your new password. Click on the link in the e-mail, or copy it to your browser. You can now enter your new password. You will immediately be given an indication of your password’s security level. Once you have precisely entered your new password twice, click on “Reset Password”. You will now see the message: “Your password has been reset. Log in.” Click below on “Back to Watershare®”. Now you can login top-right with your new information. If you don’t receive an e-mail, check your spam folder. If you can’t find the e-mail, or you don’t know what e-mail address Watershare® has for you, then contact our brand manager, Idsart Dijkstra. Describe the problem as clearly as possible, so that we can help you quickly. • ASR Performance Assessor: Regional estimation of potential ASR performance using a GIS analysis of the underground and two model-based performance estimation methods. • BioStab: Assessment of use of party drugs and pharmaceuticals by the population in connection with an individual wastewater treatment plant. • Cyano Control Guidance: Decision support tool that guides the user to a possible solution for getting rid of nuisance cyanobacterial blooms in surface waters. • eDNA: Library of DNA fingerprints of aquatic organisms, allowing rapid assessment of ecological status of surface waters (e.g., for Water Framework Directive). • SewScan: Assessment of use of illicit drugs and pharmaceuticals by the population in connection with an individual wastewater treatment plant. • Well Clogging Risk Index: Based on groundwater quality data, this tool calculates the risk of well clogging due to chemical or physical processes over an average lifetime of 50 years. NB. 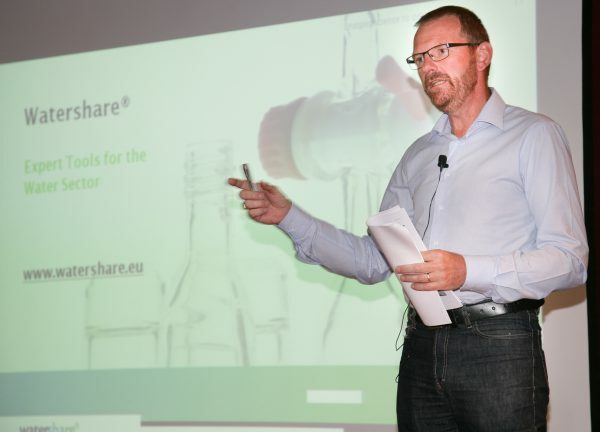 Only the contact persons at the Watershare® member organisations can grant access to the tool(s) — or trial versions of the tool(s), depending on the membership type — to colleagues within their organisation. German research Centre KompetenzZentrum Wasser Berlin has taken a step towards helping improve the management of water system valves in the country following the launch of a study with a small municipality to use the Watershare® tool OptiValves developed by KWR. In the August edition of Water21 KWR researcher Mirjam Blokker and KWB research director Boris Lesjean reflect on their cooperation. 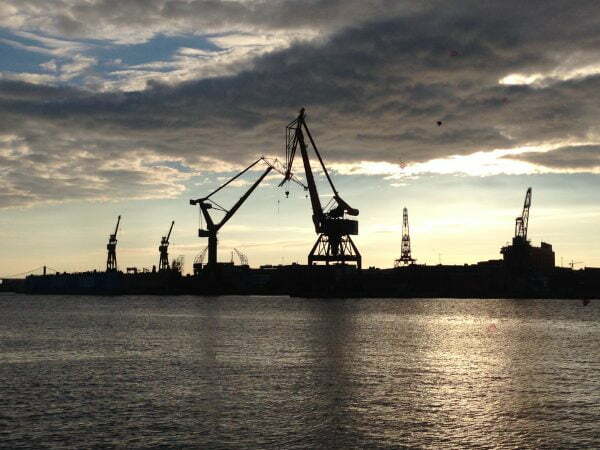 Microbial risk management is high on the agenda of the Swedish water companies, especially following the 2010 Östersund Cryptosporidium outbreak of waterborne disease. Chalmers University is working on a Quantitative Microbial Risk Assessment (QMRA) tool, funded by the Swedish Water and Wastewater Association (SWWA). The Watershare® QMRA treatment calculator is being used to improve the assessment of water treatment efficiency in the Swedish QMRA tool. This, and opportunities for further cooperation were discussed at a two-day meeting between Chalmers and KWR in September 2014. In early September, a delegation of five representatives from the Dutch drinking water companies and two KWR staff members paid a visit to Cape Town, South Africa. They had two objectives: first, to inaugurate a joint research project involving KWR, the water entity of the City of Cape Town (CCT), and the University of Cape Town (UCT) on the VLPV method, making use of the Watershare® Network Flow Performance (NFP) tool. And, second, to share knowledge with South African water-sector professionals, academics and consultants. Both objectives were successfully met. There was strong mutual interest in research, developments and practical experiences, and the reaction to the VLPV method was enthusiastic. Moreover, concrete steps were taken toward starting a showcase project with the VLPV method (NFP tool) at CCT, in collaboration with the local Centre of Expertise of Vitens Evides International (VEI). 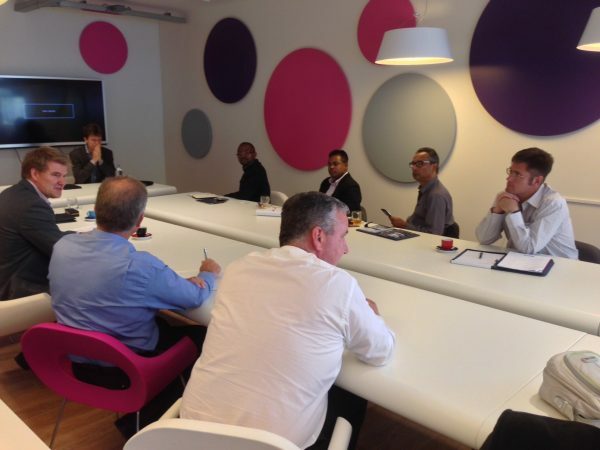 A week later, VEI brought a South African delegation – including CCT, eThekwini (Durban) and Johannesburg Water representatives – to the Netherlands to visit various water-world players. The main theme of their visit to KWR was the planned NFP showcase, which was the focus of further enthusiastic discussion.